Scientists from Oregon State University analyzed studies that examined the effects of binge drinking and heavy drinking in teenagers and young adults and found marked effects on their brain structure. OREGON - Heavy drinking during adolescence thins areas of the developing brain, reducing brain activity, jeopardizing the nervous system and increasing the risk of alcoholism, according to new research. 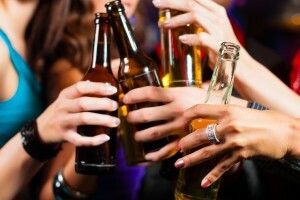 Scientists from Oregon State University analyzed studies that examined the effects of binge and heavy drinking in teenagers and young adults and found marked effects on their brain structure. Changes noted included thinner brain tissue in the regions associated with reason, logic, problem solving, planning and memory, as well as reduced brain activity in the areas that control learning and voluntary response. The findings, which were published in the journal Frontiers in Psychology, also suggested that drinking large quantities of alcohol while the brain is still developing may damage the nervous system. The researchers noted that this damage could persist throughout an individual’s life and increase their risk of alcoholism in the future. According to study author Professor Anita Cservenka, “adolescence is a time when the brain still matures including not only biological development but also maturation of psychosocial behaviours.